First Lady Melania Is Never Too Busy with State Affairs to Stop Being a Super Mom! Melania Trump is a powerhouse. But rumor has it she is also a very protective mom and spends a huge amount of time with her young son, Barron (12). Barron is purportedly one of the wealthiest children in the world, but Melania is concerned to keep him humble. 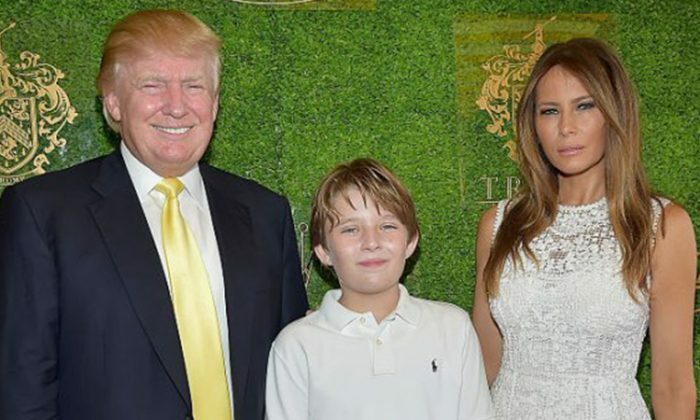 Her parenting regime includes a consistent focus on education, and a determination to keep Barron from the trappings of wealth and life on the political front line. The First Lady’s desire to keep her son away from the bustle of business matters began when Donald Trump was elected president. Melania insisted that Barron would not move to the White House immediately; he was to finish up the school year in New York City. Barron has never had a nanny, either. Melania has chosen to be her beloved son’s main point of contact during the most foundational parts of his day. The school run, for example. Kudos to you, Melania! With co-parenting a little out of the question, Melania has ensured that husband Donald Trump’s necessary absences have not damaged her young son. “It’s very important to know the person you’re with. And we know our roles,” Melania stated. A commendable approach to parenting, and a confident one. Sources suggest that the open-minded mom has never stopped her creative son from drawing on the walls in his playroom, either. Perhaps young Barron is brimming with ideas for future projects? Another business mogul in the making? Perhaps. 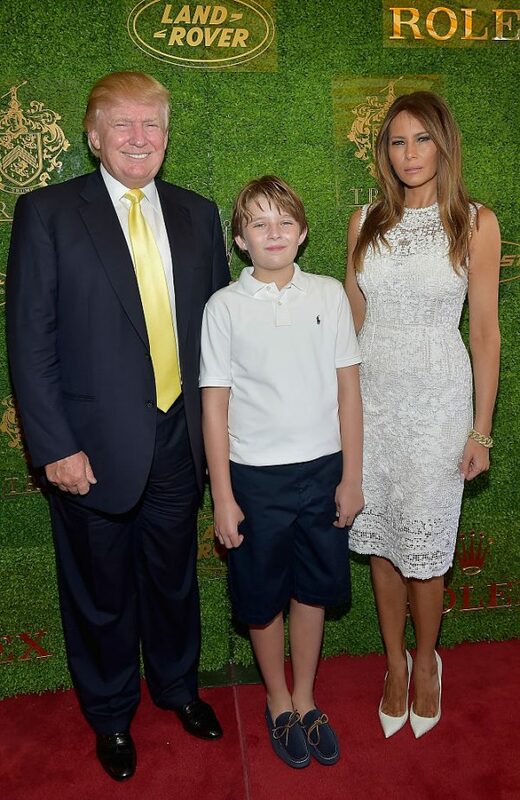 Young Barron would fare well in international business as he can speak three languages: Slovenian (his mother’s first language), English, and French. Melania took the time to teach him his first, and secondary, languages from the tender age of 3. Was she always so conscientious? Actions speak louder than words, and before Melania became a parent herself, she was actively involved in several charities for children. 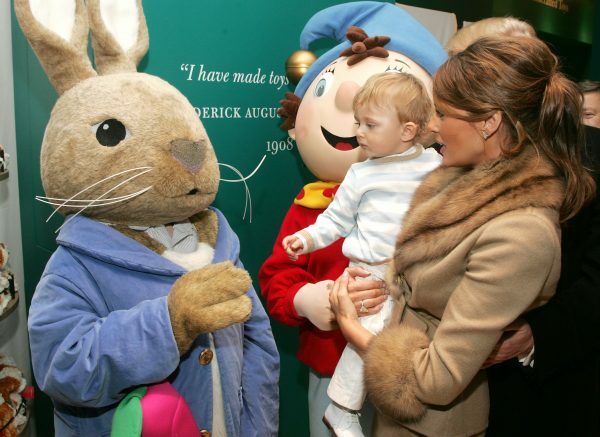 Melania was the face of The National Child Abuse Prevention Month in 2008. She was an honorary chairman for the Boys Club of New York for almost five years. And she has been photographed visiting young in-patients at the Cincinnati Children’s Hospital Medical Center in Ohio. Clearly, children are very close to her heart. Melania is no stranger to the old adage “Take care of yourself before you take care of others,” though. As such, she is careful to maintain a balance between work, parenting, and her personal life. The First Lady is a role-model of the finest order. Businesswoman, devoted wife, and protective mother to boot. Melania, we salute you. As her role in the White House continues to grow, will Melania become mom-in-chief, or keep her focused narrowed on her family? 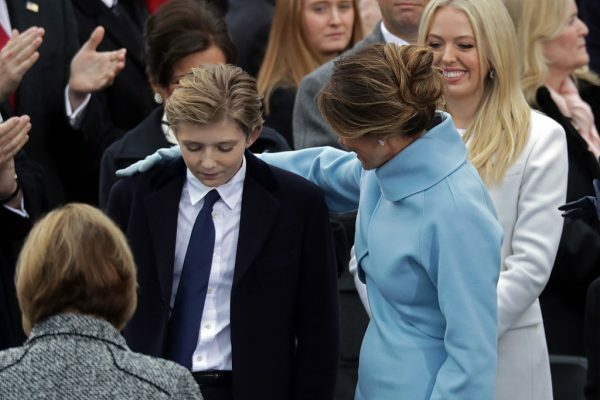 We can’t wait to see what sort of man young Barron turns out to be. He has had a privileged start in life, in no small part owing to the love, care, and diligence of his wonderful mom! What do you think of model mom Melania’s parenting strategy? Let us know in the comments section!